Tezuka was a Japanese manga artist, cartoonist, animator, and film producer. His prolific output, pioneering techniques, and innovative redefinitions of genres earned him such titles as "the father of manga," "the godfather of manga" and "the god of manga." Additionally, he is often considered the Japanese equivalent to Walt Disney, who served as a major inspiration during Tezuka's formative years. Tezuka began what was known as the manga revolution in Japan with his New Treasure Island published in 1947. His legendary output would spawn some of the most influential, successful, and well-received manga series including Tetsuwan Atom, Jungle Taitei, Black Jack, and Hi no Tori, all of which won several awards. 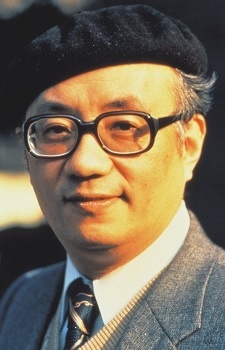 Tezuka died of stomach cancer in 1989. His death had an immediate impact on the Japanese public and other cartoonists. A museum was constructed in Takarazuka dedicated to his memory and life works, and Tezuka received many posthumous awards. Several animations were in production at the time of his death along with the final chapters of Hi no Tori, which were never released. He did so much during his lifetime as an animator and mangaka. How did he manage do to a PhD on top of that too... Such a legend in so many ways. I'm surprised not many fans of the industry are even aware he existed. If it wasn't for the effort he put into his work, you wouldn't have your Code Geasses or your Cowboy Bebops.